Malyss, of course! I knew I'd seen her somewhere before but in fact I see her walking around the Old Town often. 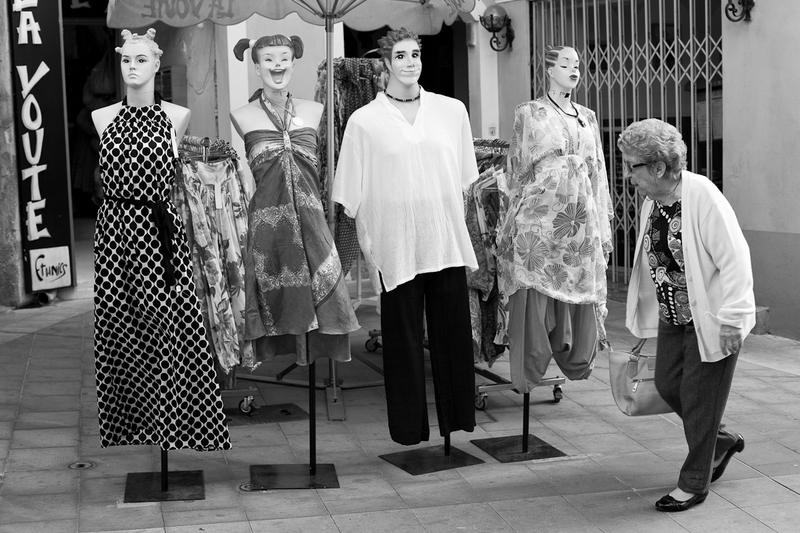 Hope she doesn't mind I snapped her as she walked past the four dummies! she's too smart to be intimidated by those dummies. This is so fun! I've never seen mannequins like this before! Wow! Sort of a Fellini dream.